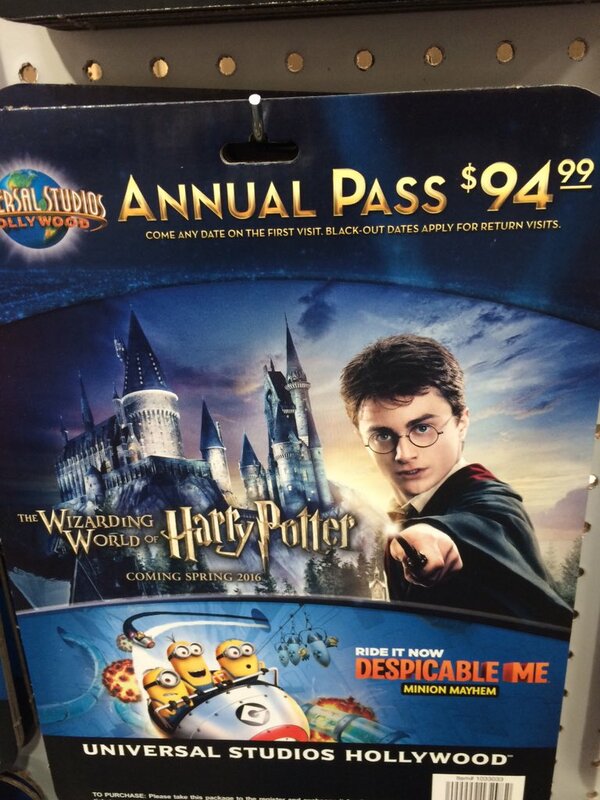 Twitter user Attractions 360 reports that Costco is once again selling Universal Studios Hollywood passes. However, they are equivalent to the lowest level annual pass, which normally costs $139 and has pretty much every weekend and most of the summer blocked out starting in March, when the Harry Potter Wizarding World is expected to officially open. 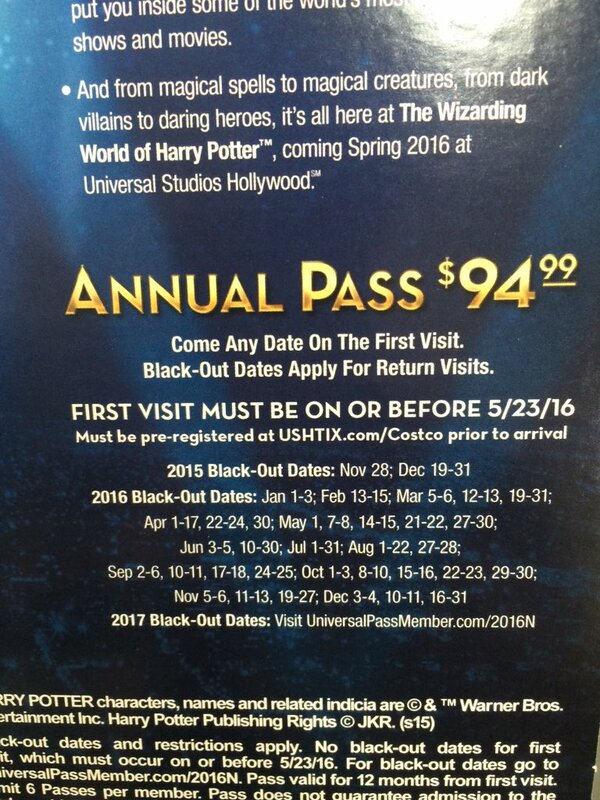 Insider Universal reports that this is essentially the same as the $139 pass, but sold at discount for $95. I didn't do the math, but the lowest level Universal pass has 182 days available in one year (about half the year is blocked out). VIP Experience, Front of Line, Annual Passes, General Admission and more! Buy your tickets online now! BTW, I thought the Fast & the Furious portion of the tram ride was insultingly stupid and had some shoddy animation (and I enjoyed the last F&F movie), but having the Harry Potter land might make Universal a pretty cool place to hang out. The parking will cost each time, but there's the AMC movie complex and at least one restaurant I really like, Karl Strauss. than be able to go on all of those unblocked out non-summer weekdays. It's similar to Disney's least expensive AP which was great for me for one year when I got to be a stay-at-home or frequently-go-to-Disneyland parent and could take my kid on weekdays. Last edited by jcruise86; 12-11-2015, 11:51 AM.